Dr Louise Harris is a Lecturer in Sonic and Audiovisual Practice. This blog post follows up on some of the works and ideas presented in a previous blog post. On the evening of May 4th, 2017, my solo exhibition, Auroculis, will launch at the new Alchemy hub in Hawick on the Scottish Borders. Alchemy has, historically, been an annual Film and Moving Image festival in Hawick, but the organisation has recently opened a dedicated arts space in the town and I have the privilege of being the first exhibition in that space. This is also my first solo exhibition – usually my work is installed in a gallery as part of a larger show or is screened as part of a concert or event –, so this is a first for me. 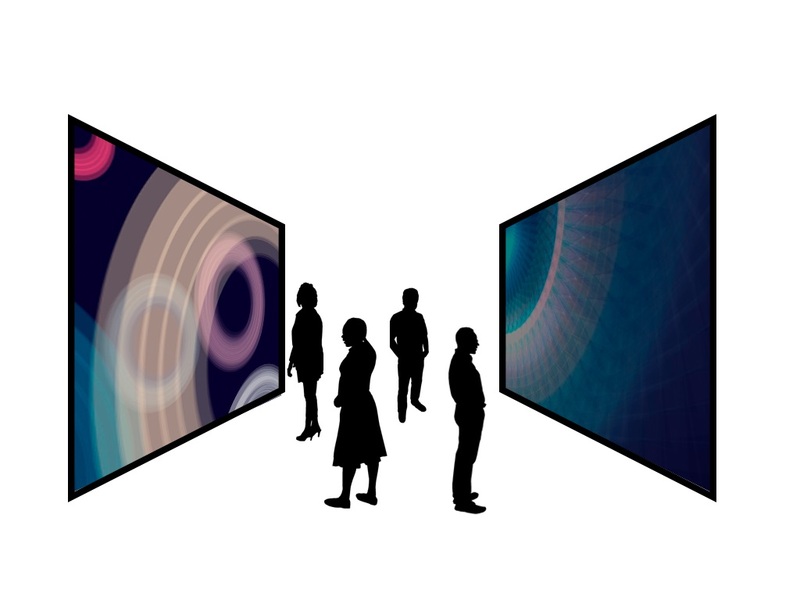 It presents me with the possibility of exhibiting three pieces envisaged for Expanded Audiovisual Format (EAF) in their intended dual-screen, quad-speaker format, so it is particularly exciting from this perspective. This description, to me, neatly summed up some of my thinking underpinning the creation of works for EAF, specifically that the pieces rely on “projection, location and duration for full contextual consideration”. Being able to present three works for EAF in their original intended format, as dual-screen, quad-speaker pieces, will afford the opportunity to engage with the works as both audiovisual and spatial entities; indeed, although all three of the works, pletten, plexus and callicassini were originally envisaged for EAF, this will be the first time I will see any of them in their intended format (other than a very ad hoc version I rigged up at home!). With four speakers positioned in the four corners of the space, and the room completely dark other than the projector screens, this will hopefully create a very immersive audiovisual experience. I will follow this blog post up with a reflection on the installation/exhibition experience and documentation of the pieces in situ once they have been installed. If you are interested in attending the exhibition, full details can be found here. Enter your email address to subscribe to Music Research Glasgow and receive notifications of new posts by email. © Music Research Glasgow. Powered by WordPress & WPstart Theme.